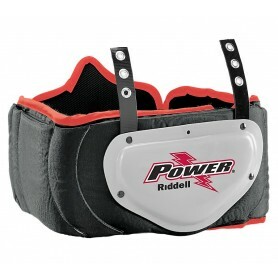 For Riddell Kombine AP and LN pads only. 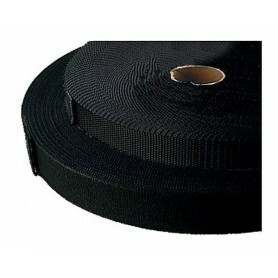 Varsity rib belt. 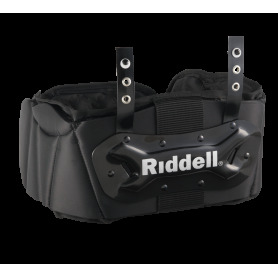 Single-post mounting allows for compatibility on all Riddell non-RipKord, plus all other makes of shoulder pads. One size fits most. 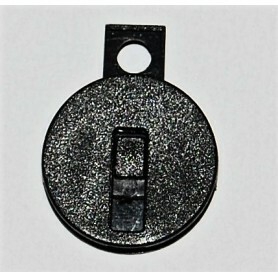 Universal back plate, will fit most pads without extra hole drilling. 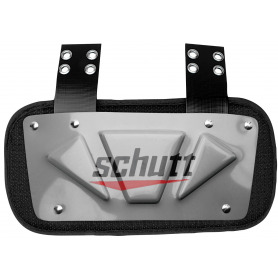 Designed to provide player with additional back protection, the Schutt Varsity Back Plate fits all models of Schutt Varsity Shoulder Pads. 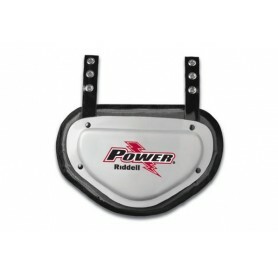 Features an Energy Block Transfer System so that when a player is hit, the vented blocks disperse the force over a wider area. This causes much less force to actually be felt by the player. Raised corrugation gives this plate extra strength. 5mm vent holes help circulate air. 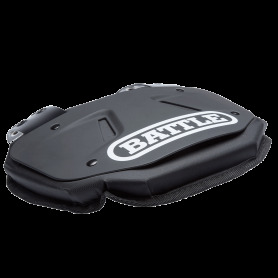 This varsity blocking vest features an improved contoured design with a high density closed cell foam padding for shock absorption. Polyenthylene load spreaders and Velcro fasteners gives you the full wrap around protection to keep you secure. 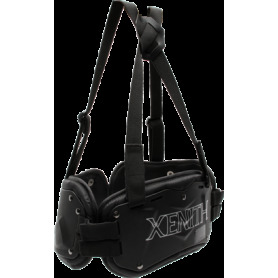 Introducing the NEW Xenith XFlexion Back Plate! 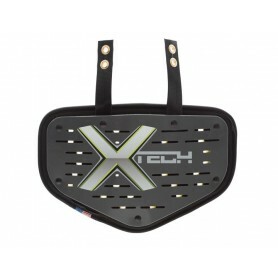 The XFlexion Back Plate attaches to all Xenith XFlexion shoulder pads and most other brands. 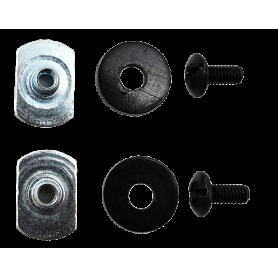 Universal Back Plate Fixing Kit. 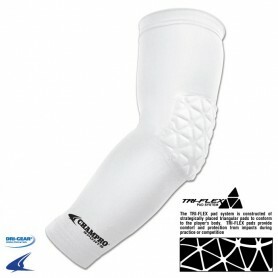 Introducing the NEW Xenith XFlexion Core Guard! 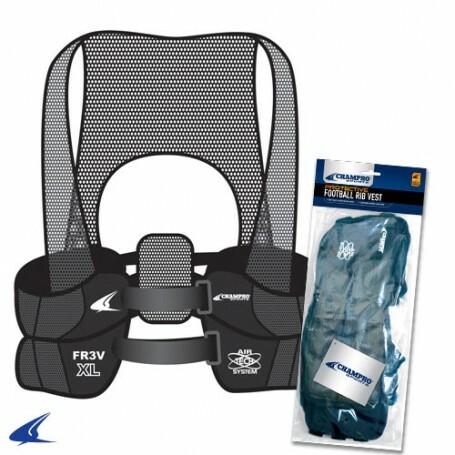 The XFlexion Core Guard attaches to all Xenith XFlexion shoulder pads and most other brands. 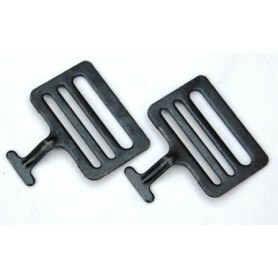 Rib Belt Accessory. 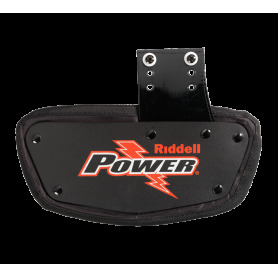 Design specifically for Riddell SPX shoulder pads. 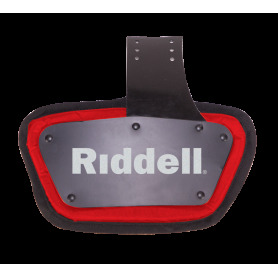 Single-post mounting allows for compatibility on all Riddell non-RipKord shoulder pads. Mounting hardware included. 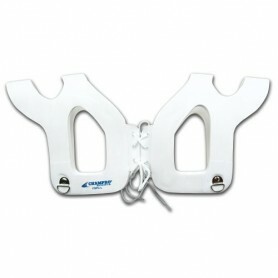 1 1/2" T-Hook Football Shoulder Pad Hardware. 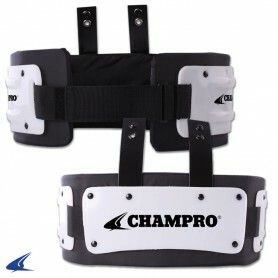 Connects elastic strap to the front of the shoulder pads so pads do not move. Sold by the metre. Add QTY for more metres. 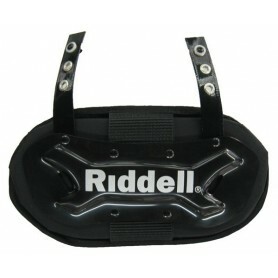 Black Football Shoulder Pad Elastic. 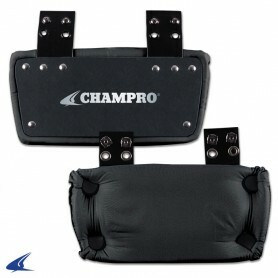 Football shoulder pad elastic is used to help keep shoulder pads in place. Sold by the metre, 1 1/2"W x 1 metre long.